Lakker will drop their new EP, Struggle & Emerge, via R&S on May 13th. The Irish duo wrote this record with archival material from the Netherlands Institute for Sound and Vision. The organization-which houses Dutch audiovisual collections-specifically commissioned them to create work using photos and field recordings pertaining to water. They also toured the country as part of their research process, getting a "first hand insight into the centuries-long tumultuous relationship between the Dutch and the water." 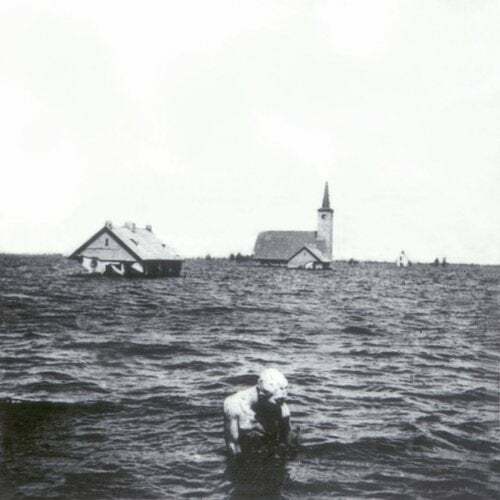 Lakker's sample material includes historic broadcasts dating back to the Nazi occupation as well as one of the Netherland's great natural disasters: the Zeeland flood of 1953. Struggle & Emerge is meant to convey the power of water as an elemental force, the label says, calling it "unyielding, colossal, industrial."